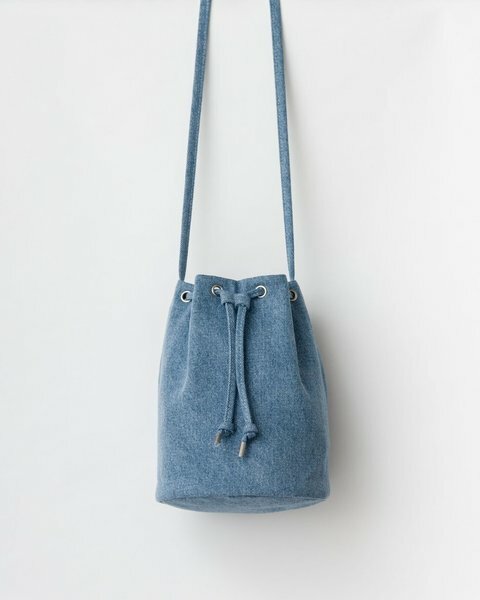 A simple drawstring purse from Baggu in this season's washed Denim. Interior zip pocket holds a smartphone. Shoulder strap can be tied to shorten length. 23cm H x 26cm W x 15cm D. 55cm strap drop. Designed by Baggu in Brooklyn, NYC. Ethically made in China.